Procare Foil, 1000m x 100mm. The largest roll of foil you could ever want or wish for, in a quality which never fails to get the job done. This is also the most cost effective way of buying your foil so yet another reason to go super-size. 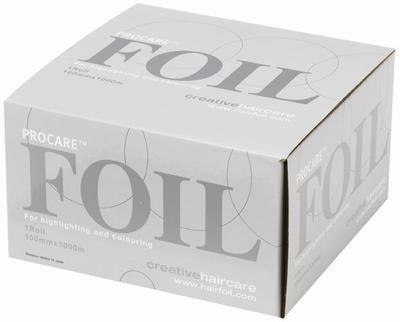 As with all the Premium Range this foil is specifically designed for professionals and is ideal for the larger salon. A superb quality foil, strong and easy to fold, ideal for use with the Clog dispenser.